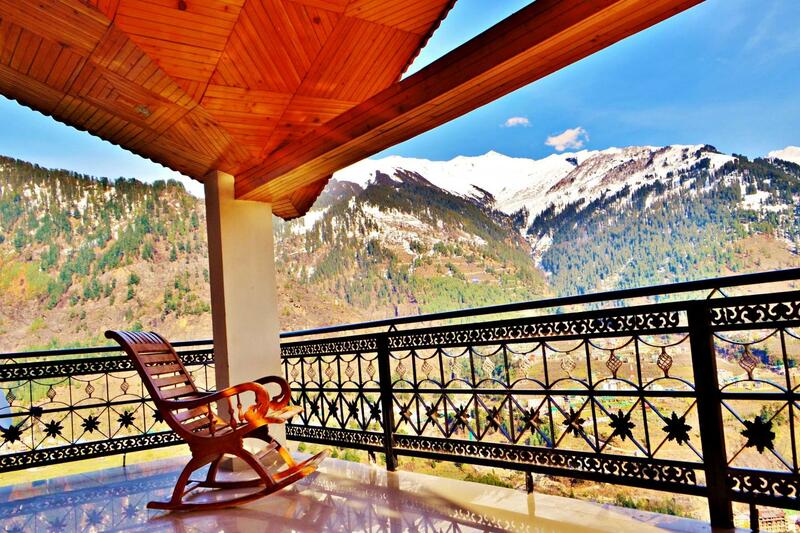 Set in the picturesque Kullu Valley, Manali was originally known as ‘Manu Alaya’ or the abode of Manu. It is believed to be the spot where Manu first landed from his celestial boat, after the great floods and became the progenitor of human population. Manali is counted amongst the famous hill resorts and tourist destinations of India. Though it does not have Shimla’s colonial architectural heritage, it offers fantastic views of River Beas and Solang Nala, which is covered with snow the year round. Many treks and mountaineering expeditions converge at Manali, especially those that venture into Solang Valley and the valley of Lahaul and Spiti. The hill station is also the starting point of the trans-Himalayan journey in the cold desert of Ladakh. The tourism industry of Manali started booming only in the early 20th century, mainly because of its natural bounties and salubrious climate. Now, it is rapidly becoming a popular base camp for trekkers and gallant mountaineers. People come here in summers, to escape the heat of the plains. Manali lies at the intersection of the main trade route from Himachal to Ladakh, which passes through Rohtang Pass and Baralacha Pass. Other transport routes of the region, such as the ones that lead to Spiti, Rupshu and Tibet, also pass through the hill resort. Its beautiful alpine meadows, deodar and pine forests and fruit orchards and high peaks always remain snowbound and present a picture-perfect setting for the visitors who travel to this part of Himachal Pradesh. If you are planning to visit Manali, do make sure to visit its famous Hidimba temple. One of the most beautiful hill stations of Himachal Pradesh, Manali falls under the district of Kullu. It is situated at a height of 2050 meters above sea level and is visited by tourists from various parts of India. The natural beauty of hill resort gets greatly magnified by the presence of the Beas River. Nicholas Roerich was a Russian who settled down in the beautiful hills of the Himalayas after the revolution of 1917. He was a gifted painter, who dreamt of unifying the world through art. Roerich Art Gallery is set amidst well-tended gardens and has the perfect setting for the display of art. Situated in Naggar, within the premises of the Roerich estate, Uruswati Himalayan Folk Art Museum is just 100 m uphill from the Nicholas K. Roerich Art Gallery. Professor and Madame Nicholas Roerich set it up in 1928, as the Research Institute of Naggar. The hill resort of Manali is blessed with a large opportunity for tourism. Not only does it have numerous places to see within its confines, but also stands surrounded by many beautiful and attractive tourist attractions. Hadimba Devi Temple is dedicated to the wife of Bhim, one of the five Pandava brothers in the Indian epic Mahabharata. As the legend goes, Bhim married Hadimba and they had a son. Manali, the place named after sage Manu, is believed to be the only survivor of the mythological flood that swallowed earth. It is located on sub-Himalayan range of mountains, in midst of deep woods and verdant valleys, and gives an out of world experience to travelers. Manikaran Gurudwara, held sacred by the Sikhs and located near Manali, is a popular tourist destination. According to the Sikh sources, Guru Nanak Dev once visited this place, accompanied by his disciple Bhai Mardana. Manu Temple is located in old Manali, at a distance of three kilometers from the main market. The temple is dedicated to the Indian sage Manu, who is said to be the creator of the world and the writer of Manusmriti. Located at high altitude, Rohtang Pass is a popular destination among tourists who visit Manali. Those who are of adventurous nature opt for trekking to this place, which stands surrounded by great greenery and snow capped mountains. Manali is a popular hill resort of Himachal Pradesh, which remains crowded with tourist almost throughout the year. The reasons for this are its climate, which remains pleasant the whole year, and its exquisite natural splendor.